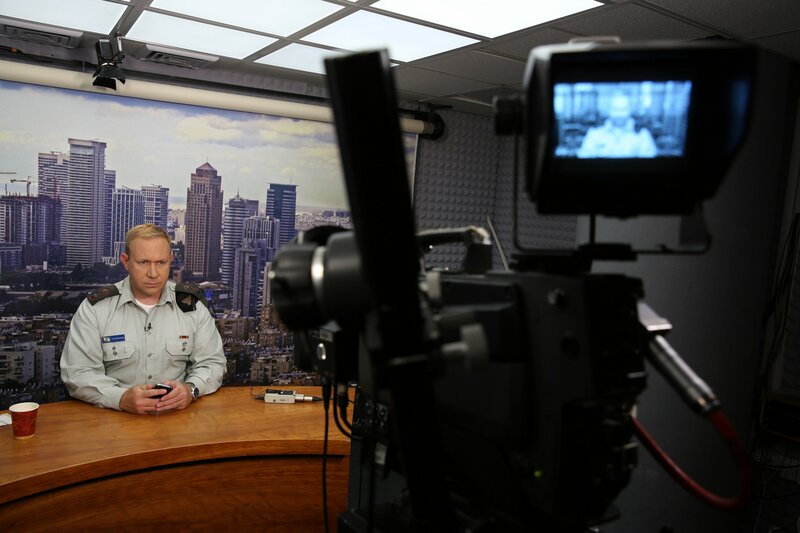 Many might think Lt Col Peter Lerner has the worst media job in the world. The blonde-haired, blue-eyed 40-year-old with impeccable English is the explainer-in-chief for the Israeli military or, to give him his full title, Head of the Foreign Press Branch Israel Defense Forces (IDF). While critics compete to denounce Israel’s military tactics against Hamas in Gaza, where more than 1,800 Palestinians and more than 60 Israelis have been killed, his task is to fight a war of words against accusations of war crimes and even genocide. After a month of Israeli air and land operations in Gaza, it is not a job for the faint-hearted. Lerner is the first native English speaker to become the IDF’s chief foreign spokesperson. Many in Jerusalem’s large foreign press corps say he is a breath of fresh air, bringing new clarity and professionalism to a creaky army bureaucracy that in the past has treated them with disdain. Lerner emigrated from London to Israel with his parents and sister at age 12. After high school in Jerusalem, he was conscripted into the army at 18. Because he spoke English, he became a liaison to international organizations, accompanying senior officers to talks with Palestinian counterparts in the early days of the Oslo Accords. Hopes for peace were high. Israel was withdrawing from large areas of the West Bank. The first press conference he organized as a young soldier marked the transfer of powers to the new Palestinian Authority. He says it left a deep impression that peace was possible. But the momentum stalled. A wave of suicide bombings in the late 1990s was followed by the outbreak of the Second Intifada. Lerner served as liaison to the Red Cross and other aid groups while the West Bank and Gaza erupted in violence that flared deep inside Israel. After Israel’s withdrawal from Gaza in 2005, Lerner served with the Israeli department overseeing the provision of goods and services for Palestinians and participating in joint development projects. A return to the West Bank as local military spokesperson brought him back alongside Palestinian commanders implementing security co-operation that has helped maintain quiet for several years. In 2013, he was appointed as the international voice of the Israeli military. Since June, when three Israeli youths were abducted and murdered in the West Bank, he has become one of Israel’s most visible faces in the international media and is constantly on call. He snatches occasional hours with his lawyer wife and young daughter at their home near Tel Aviv and has all but abandoned his passion for running. Since the start of Operation Protective Edge, Lerner has come under increasing pressure to explain Israel’s tactics and the hundreds of Palestinian civilian casualties. On Monday, British prime minister David Cameron, a self-declared friend of the Jewish state, joined the chorus of disapproval, warning that it is “wrong and illegal” to target civilians after another UN school was hit by Israeli fire, killing several Palestinian civilians along with three suspected gunmen. Lerner argues that criticism of Israel comes from commentators knowing little of war. “The expectation that warfare, especially modern-day warfare, and this type of battle that we’re facing with this type of organization, will be sterile, does not exist anywhere in the world,” says Lerner, insisting that the Israeli military does not intentionally target civilians, specifically not children. Last Friday began on a more positive note, with a 72-hour humanitarian ceasefire brokered by the United States and United Nations. But the much-hoped-for respite in the bitter fighting was violated barely an hour after it began. Even worse, a soldier was missing, feared abducted – every Israeli family’s worst nightmare. The ceasefire collapsed when a Hamas suicide bomber emerged from a tunnel in the southern Gaza town of Rafah and blew himself up near a Givati infantry squad. More gunmen appeared from the tunnel, guns blazing. When it ended, two soldiers were dead and Lt Hadar Goldin was missing. Israel’s response was swift and severe. Aircraft and artillery pounded the escape route as soldiers pursued the gunmen into the tunnel. Palestinians said as many as 40 people were killed in the ensuing bombardment. But the missing officer wasn’t found. The breaking news reached Lerner as he headed south to meet reporters at the Gaza border. He turned towards the international television bureaus in Jerusalem while his young staff fielded a wave of urgent interview requests. Zipping between TV studios on this tense afternoon, Lerner tries to maintain his calm demeanour as he fields tough questions about Israel’s response to the ambush. 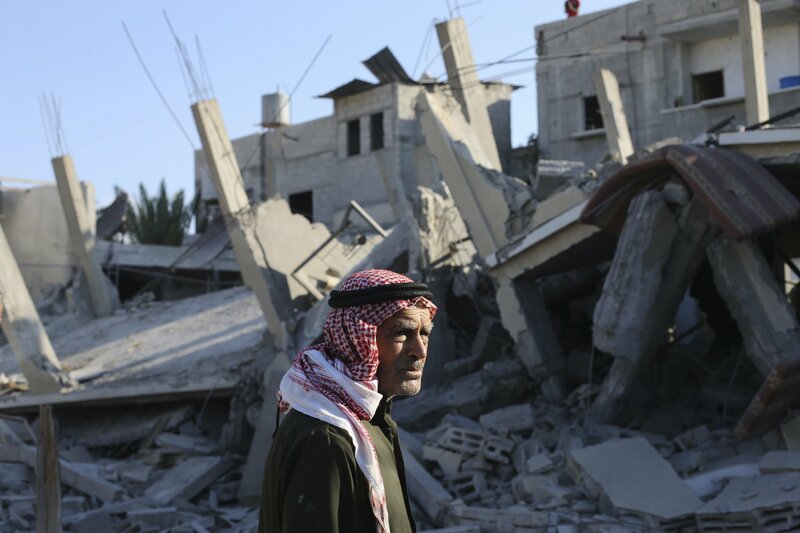 Hamas says Israel broke the ceasefire and condemns the killing of dozens more Palestinians. The Associated Press, Fox and the BBC allow him to speak at length. Their recorded interviews will be edited later. Al-Jazeera is live and less patient. Sky News is confrontational, borderline hostile. Lerner seems unfazed, repeating his explanation that Hamas is endangering its own people by attacking Israel from within civilian areas. One military expert who says he understands the challenge of explaining combat to the public is Col Richard Kemp, former commander of British forces in Afghanistan and head of terrorism intelligence for the Downing Street Joint Intelligence Committee during the London bombings. Events in Gaza move fast and initial perceptions can change. Each day produces another situation that Lerner must try to explain, based on information provided by his military superiors. By Sunday morning, the IDF has revised its assessment of Friday’s events. Evidence at the scene suggests that Lt Goldin is dead. The gunmen took some body parts, but there is enough evidence to declare him Killed in Action. Briefing foreign reporters, Lerner tiptoes delicately around the details, saying only there will be a funeral that day. “You have the remains? Parts of his body? Why don’t you answer the question?” demands The New York Times reporter. Lerner manages to control his temper. Critics say that Lerner’s British aplomb can only go so far. In 2011, Lerner was criticized for tweeting comments about a Palestinian activist killed during a demonstration in the West Bank. Media experts query why the Israeli army appointed a high-profile spokesperson lacking any professional media experience. But even for an old hand, his job might become impossible. Many around the world, and some in Israel, find IDF policy simply unexplainable. “I don’t think the Israeli army, or any army, is inherently bad or evil. But the policies and actions of the IDF are largely indefensible in their immediate context,” Reider says. “If there is a stack of missiles under a home and Iron Dome is protecting us from those missiles, how does the moral calculus of taking down that home and all the people in it even work?” asks Reider. Lerner says he does not dismiss civilian casualties lightly, and that as a father he is deeply affected by images of dead children in Gaza. “We don’t intentionally target civilians but since the dawn of war, civilians have always been caught up in battles,” he says.